Ships today if you order in the next 5 hours 44 minutes. Auto Ship & Earn + 128 Points What's this? 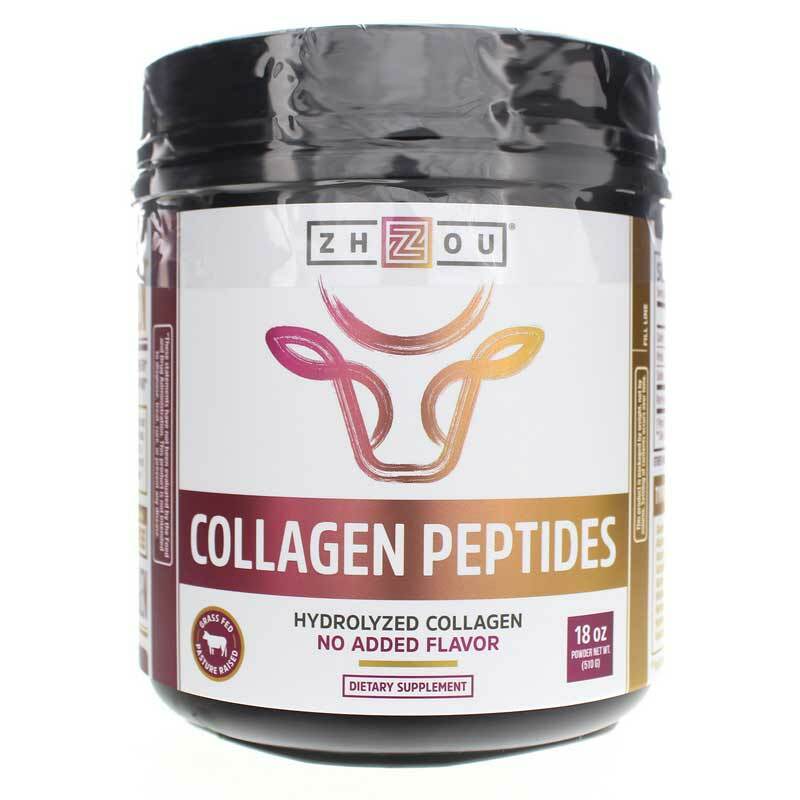 Zhou Collagen Peptides Hydrolyzed Protein supports bone strength, joint flexibility, skin cell health, hair and nail strength and healthy gut. 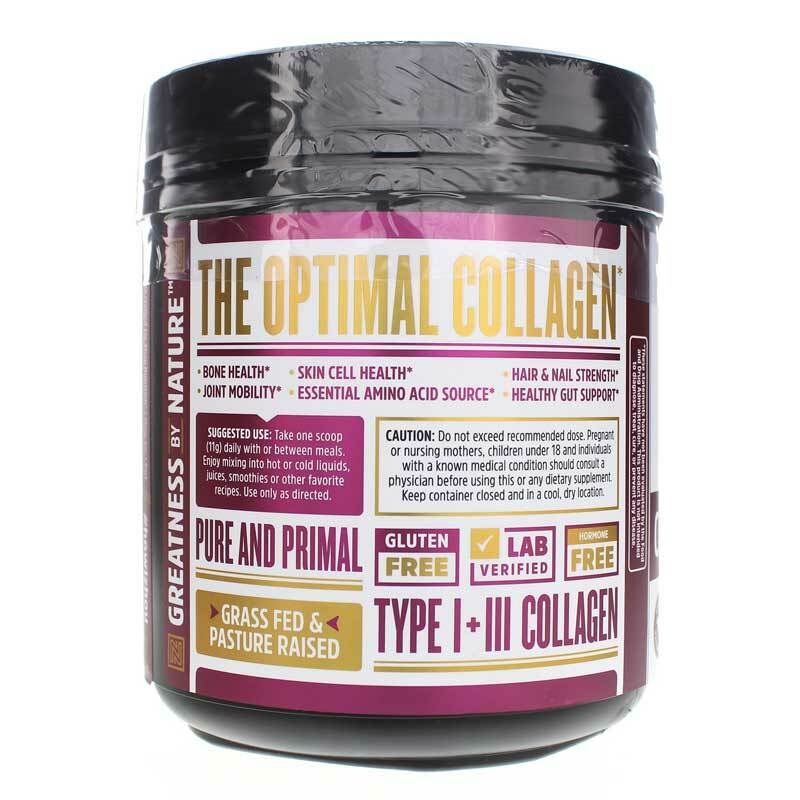 Over 90% of Collagen in the body is comprised of Type I & III Collagen. Collagen Peptides help fuel the bones, tendons and connective tissue that support joint flexibility, mobility and bone strength as you age. Collagen supports the skin's elasticity and is what gives youthful skin its elasticity. If your skin is losing firmness and tone and you're beginning to see new lines and wrinkles, it's time to hit that refresh button. Zhou's pure, hormone-free collagen hydrolysate (the peptide form), is a convenient way to daily replenish lost collagen and support cell regeneration for softer, firmer skin and a more youthful appearance. Amino acids naturally present in collagen not only help support the skin, but provide the necessary nutrients to make thin, damaged hair and weak, brittle nails a thing of the past. Collagen Peptides also contains two of the three amino acids necessary for the production of creatine, an energy source in muscle cells that helps power your workouts and support muscle strength. 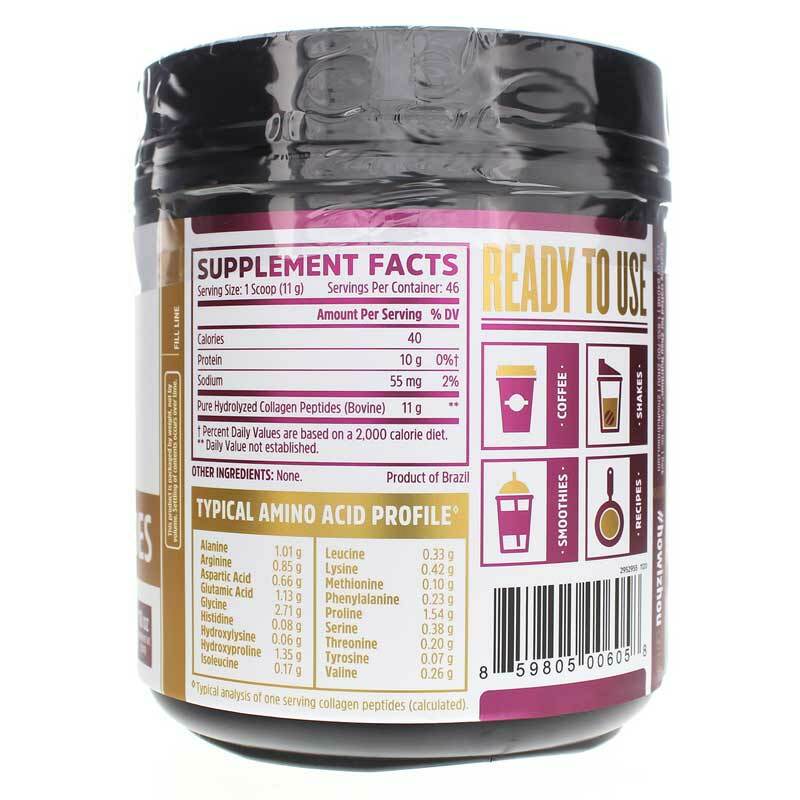 Paleo and keto friendly, Collagen Peptides are the perfect protein supplement to help keep your diet on track. A natural appetite suppressant, it keeps you feeling full longer and supports gut health by soothing the delicate lining of your digestive tract. Plus, the smaller protein molecules (peptides) in Zhou's collagen protein allows more of the collagen to be absorbed and utilized. Contains NO: sugar, gluten, soy, eggs, fish, shellfish, tree nuts, peanuts, wheat, preservatives, or additives. Adults: Take 1 scoop 1 to 2 times daily with or between meals. Enjoy mixing into hot or cold liquids, juices, smoothies, or other favorite recipes. Use only as directed. Do not exceed recommended dose. Pregnant or nursing mothers, children under 18 and individuals with a known medical condition, should consult a physician before using this or any dietary supplement. Keep out of the reach of children. Very satisfied with shipping time and quality of product.